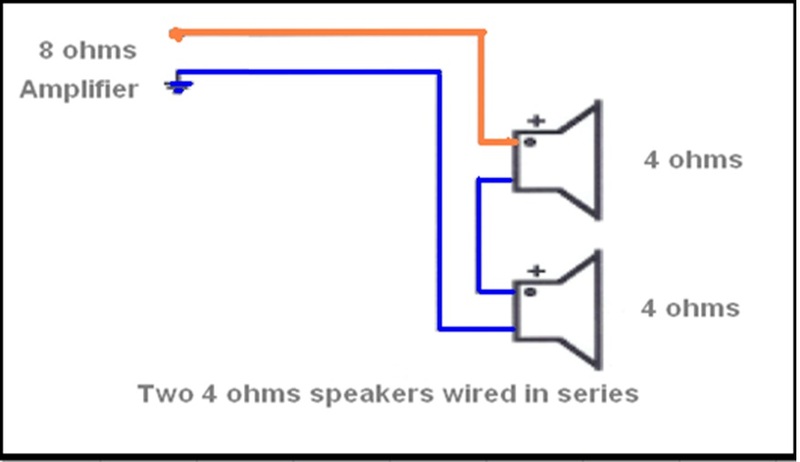 On the circuit below we have an 8 ohm amplifier connected to two 4 ohms speaker in series to get 8 ohms (4+4) and therefore the amplifier impedance is equal to the speaker impedance. 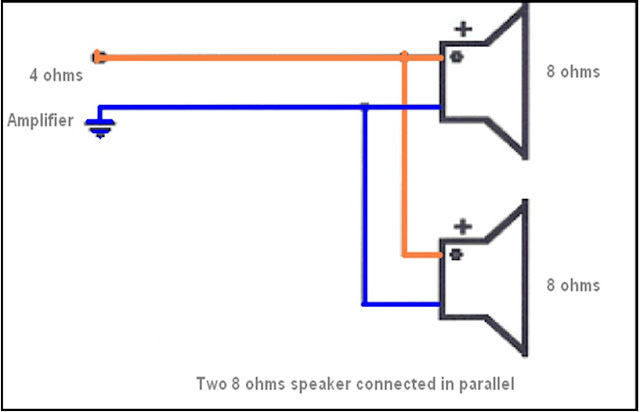 If you don’t observe this principle then you will overload the amplifier and eventually it will blow. On the other hand if you two 8 ohms speakers and an amplifier with 4 ohms impedance then you will need to connect the speaker in parallel to achieve the 4 ohms impedance of the amplifier for maximum power transfer. 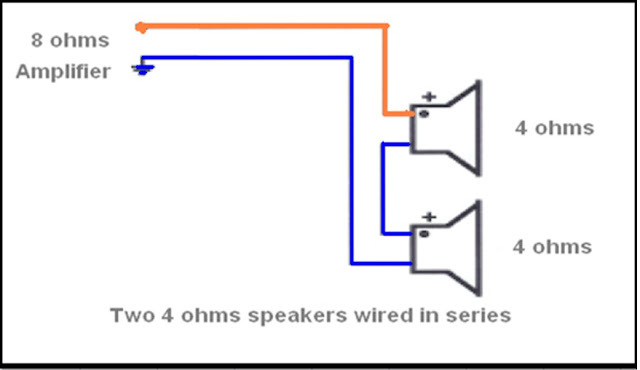 Hi sir even though its a simple wiring i think this concept is very usefull for arrainging Public address speakers to match the power amplifiers.Thanks for the article. Hi Raza, Thank you for your feedback and you are very right.